It’s the Digital Age: What do Jurors Expect in the Courtroom? Well, let’s just say that courtroom technology hasn’t quite caught up to the digital age. A courtroom trial is still primarily based on verbal testimonies and verbal arguments from both sides. There will likely be some physical evidence presented and maybe even a few photos for jurors to examine – but that’s about all of the media jurors are going to get. And that’s a problem. What do jurors expect in the courtroom? And how can we better integrate technology into this part of the judicial system? Years ago it may have been acceptable for attorneys to rely on a verbal trial. Yet in this day and age, juries are being filled with the Millennial generation and Gen-Xers, both of whom are not only proficient in technology – they expect it. Multimedia illiteracy is unacceptable. Psychologist Christy Price, EdD, asserts that these generations are so adept at multitasking that verbal testimony alone will bore them. They need and expect multimedia to appeal to their senses and engage them. So, what do jurors expect in the courtroom? Some experts say that these perceptions play right into the CSI Effect. The CSI Effect is a term used to describe pre-conceived notions that jurors have upon arrival in the courtroom about what a trial should be like – and these ideas are all based on what they’ve seen on primetime television. Ultramodern technology and forensic testing, fully-equipped courtrooms and multimedia evidence presentations are expected but usually not delivered. Honorable Donald E. Shelton goes so far as to assert that juries may “wrongfully acquit guilty defendants” due to the CSI Effect. 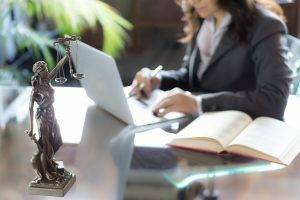 There are numerous reasons that courtrooms have not caught up with society when it comes to technology, one of the big ones being money – or the lack thereof. Funding is hard to come by and change is hard to make, especially for those in the law community from the older generations. There is also a fear that rich media will be rejected when presented to evidence. Should these reasons prevent the inclusion of rich media and technology in the courtroom? I think not, especially when we take into consideration those who will be serving on the jury. To learn about one type of rich media that has been successfully incorporated into today’s courtrooms, visit https://www.l-tron.com/oscr360.